Jackpot City is an online casino that will bring the bright lights of Las Vegas into the comfort of your own home. Jackpot City casino has been designed by Microgaming and is licensed with the Malta Gaming Authority. You will find all kinds of games here from the latest slots to traditional casino table games. All of the games that Microgaming are best known for are available at Jackpot City. This includes a range of video slots such as Terminator 2 and 5 Reel Drive. There are also a number of progressive jackpot games to choose from including Mega Moolah and Major Millions. These progressive jackpot games give you the opportunity to win life to change amounts of money. You will find different variations of classic casino games such as roulette and blackjack. All of these variations follow the basic rules of the game but they have extra features that make them more exciting to play. There is even a progressive jackpot roulette game Royale Roulette where you can win substantial amounts of money. Video poker is becoming very popular at online casinos and there is a good selection of games at Jackpot City. These include Aces & Eights and Deuces Wild Bonus. There is also a wide range of other fun games such as bingo and scratch cards. 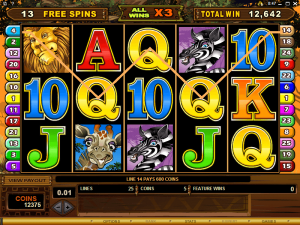 The software that Microgaming uses for this site means that there are new games being introduced all the time. There are over a hundred different slots that are available at any one time. This means that you will have no problem in finding one that you enjoy playing. There are slots tournaments that you can join in with to make playing the games more interesting. All of these games can be played on a computer or mobile device which is ideal if you want to play on the go. When you make your first deposit Jackpot City will match this up to a limit of NZD400. This means that you will get twice as much money to play with. The downside is that you will have to wager the bonus 50 times before you can withdraw any winnings from this bonus. If you do not want to play through this bonus then you do have the choice not to accept it. If you do decide to accept the first bonus then you will be eligible for bonuses on your next three deposits. These are also for deposits up to NZD400 so there is the potential to get up to NZD1600 in bonuses which give you a substantial amount of money to play with. Just remember that the wagering requirement is in place for this bonus money. Different games will have different weighting when it comes to wagering so you may have to pay more money for some games than you will on others. If you are playing on your mobile then you will also be eligible for daily and weekly bonuses. These can give you a little extra money to play with and you may also win free spins on certain slots. 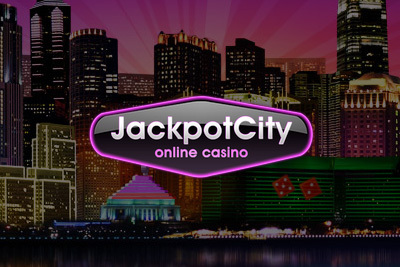 Jackpot City also operates a loyalty program where they award you points for each deposit you make. As you gain more points you will move up through the levels of the program and receive more benefits. There are more options for depositing money then there are for making a withdrawal. 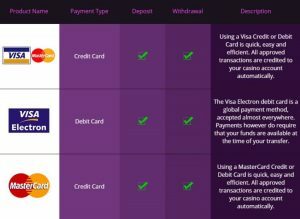 However, all of the major withdrawal methods are available through which include credit and debit cards as well as e-wallets such as PayPal. In most cases, you will get your money in less than 24 hours. The site uses state of the art encryption and this means that you can be confident that all of your personal and financial details will be protected. It has the seal of approval from eCOGRA and this is only given to sites that show they meet the highest security standards in the industry. Jackpot City is a site that we would recommend as it is one of the best online casinos that Microgaming is involved with. Even though the wagering requirements are on the high side, the welcome bonuses that you get are very generous. There is also a wide selection of games that are available to play and the graphics for these games are all very good.